BDL's EVO-9S is the work horse of belt drives. With over 50,000 kits running on bikes today you can be reassured this drive can outlast and out perform the competition. 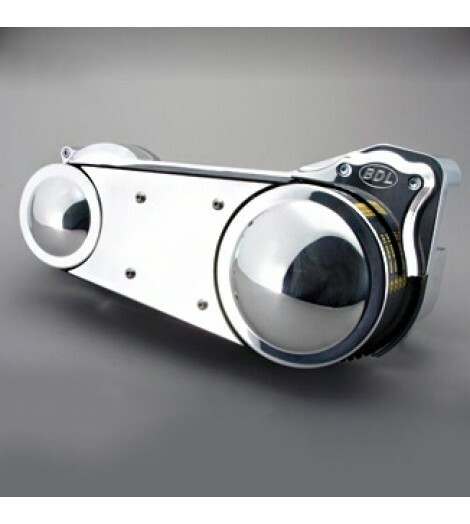 Our one-piece 6061-T6 polished billet motor plate locks the trans and engine together. 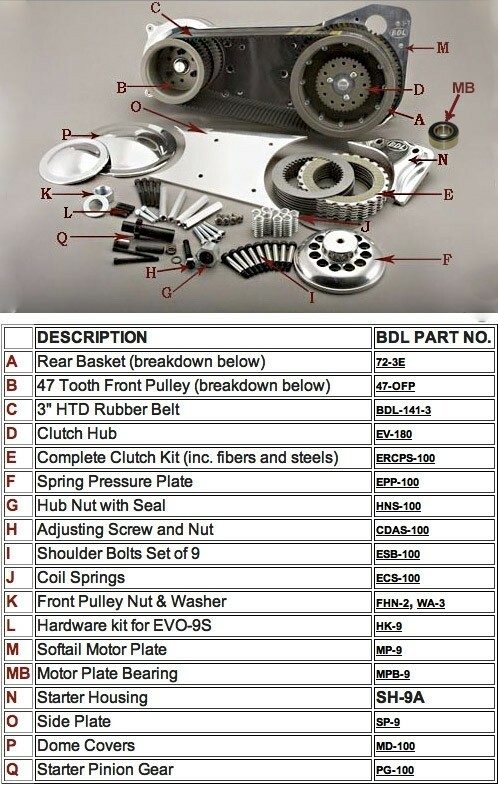 All of these kits include a 3'' wide belt drive unit with polished pressure plate, double row sealed mainshaft bearing, polished aluminum side plate and pulley covers and a complete ''BDL Clutch'' with Kevlarxae plates. 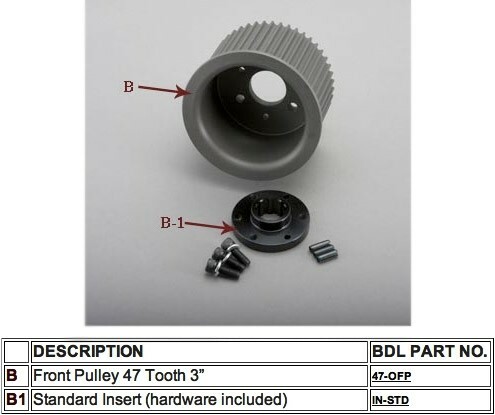 For installation in wide frame/tire applications, choose the appropriate insert. For Softail Models from 1990 to 2006. This is it. This is the one. The EVO-9S, the most popular belt drive kit ever. 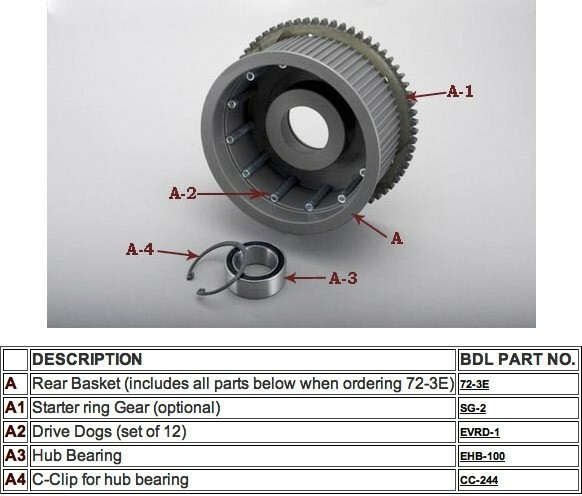 Everybody wants this belt drive kit. More than 50,000 of these kits are on the streets. The cleanest and sleekest of all belt drives, this 3 inch wide baby has been purrin’ down the roads of the entire world for decades! Name a country and this drive has probably been there! Name a bike builder and they have used one. 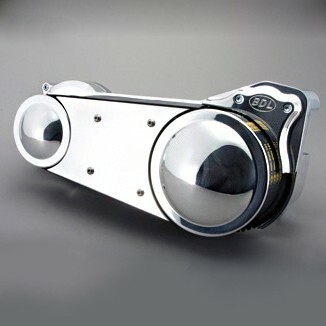 If you have a Softail® style motorcycle from 1990 – 2006 this is the most affordable and durable belt drive for you. You too can have the kit that most all of the “Build your own Bike” kits used and still use to this day. The dual dome scalloped side guard kit comes with a 47 tooth front pulley and 72 tooth rear basket and the 141 by 3 inch wide belt. Along with our famous customer approved Kevlar clutch plates and most recognized domed pressure plate out there, this pressure plate has the capability of using either 6, 8, 9 or 12 coil springs to meet your power needs. 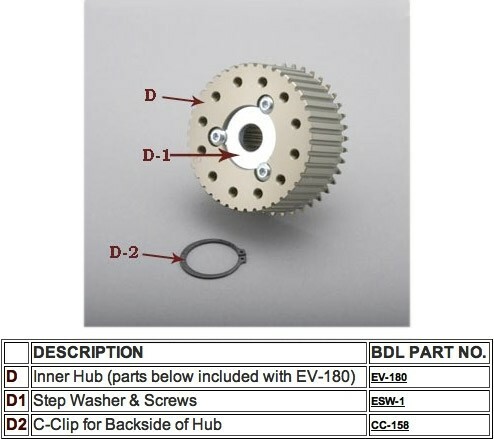 You adjust the pull and pressure of your clutch by the number of springs you install. Want that Hot Rod look? Remove the domed pulley covers and you have that Bad Boy look. This motorplate starts as a 40 lb. piece of 6061-T6 billet, then we have are way with it. Add some of our favorite components and BOOM! it comes to life.